I’m a huge fan of Maggie Stiefvater’s THE WOLVES OF MERCY FALLS trilogy, and I recently listened to SINNER in audio which is what prompted me to give this series a whirl. Well, that and the fact that I won a copy from Loupe at Hot Listens (thank you!!!). 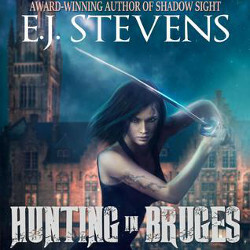 The author’s lyrical writing style that I’ve come to know and love was out in full force, I connected remarkably well with all of the characters after only one installment, and I also really liked that this wasn’t your typical paranormal listen in that it doesn’t feature the usual supe suspects. However, I found that the lore was a lot to take in—I had to listen to several chapters more than once in order to grasp all of the intricate details—and, I wasn’t completely sold on the narrator’s delivery. But, I remember not having instantly clicked with SHIVER, so I’m more than willing to give THE DREAM THIEVES a chance, I just won’t be downloading a copy asap. I recently listened to an audiobook that I enjoyed, but knew would have been better and more understandable in print. 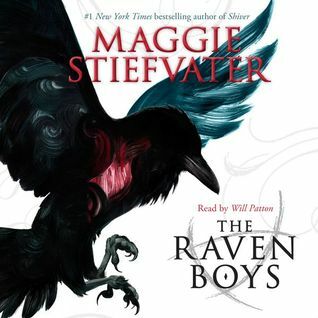 I love the Raven Boys, but I don’t know if it’d had been the same if I listened to it first- there is a lot to take in. I’m fairly familiar with Stiefvater’s writing, and I had no problems with Sinner, however this novel was a different story entirely. I did end up listening to The Dream Thieves, and will officially be switching to reading for Blue Lily, Lily Blue. I have the first two in book form but I haven’t read them yet. I wasn’t a fan of Shiver, but I picked these up cheap at my workplace so couldn’t pass up the buy..lol. I originally struggled with Shiver, but it was more a case of needing to read the whole trilogy in order to understand book 1. Tricia recently posted…Do You Read Holiday Books? I’ve already listened to The Dream Thieves, and it was a 4-star audio, so this series is definitely improving. I will be switching to hard copy though for book 3. I’m sorry the audio didn’t make you fall in love with The Raven Boys, Carmel. I think I’d have a hard time listening to all the lore and keeping it all straight, understanding it, myself. I am glad that you’re going to stick with the series. I adore Stiefvater though, so I’m hoping when I finally get around to read this one that I love it. Happy Friday! 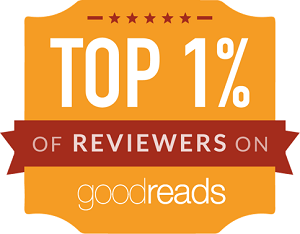 There’s no shortage of 5-star reviews on GoodReads for The Raven Boys. In fact, Stacie (one of my associate bloggers) reviewed in this past summer and loved it. I blame the narration. This is a book that I keep hearing good things about and then I see it is YA and I walk away from it. You know my dislike of YA novels. I’ll read/listen to some, but they are few and far between. 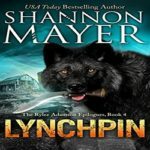 I tried her werewolf books back when I dd read more YA (though it was the start to avoiding) and I don’t think i finished it. I know I didn’t pick up book two. Melanie recently posted…Question: Which Three Books Would You Ask Santa For? Stiefvater is one of the rare YA authors whose series I try to keep up with. Her lyrical prose is to die for. I’d recommend reading over listening though if ever you’re tempted. OMG I thought I was the only one. Alright so I tried this one because everyone (and I mean everyone) loves it. I just couldn’t. I figured it was me that kept going WTF? Glad to see that isn’t the case. I love Will Patton narrating Stephen King–I don’t know if I would have ever tapped him to do a YA book. I was so happy to see your comment pop up in my inbox this morning! I delayed posting this review because I felt like something was wrong with me. Will Patton was indeed a weird choice for this series in audio. Sorry you didn’t like this a bit much but all things considered I do hope you continue the series because it is fantastic! I’m a seasoned audiobook listened, so I was surprised that this one was such an uphill battle for me. I have the utmost faith in Stiefvater’s writing which is why I’m kissing Will Patton’s narration goodbye. He’s not doing The Raven Cycle justice at all. This is a great series but the audios are lacking. A few people have come to me and asked if they should keep going because they liked many elements of the story (the same you mention in fact) but didn’t feel the pull to keep going. My advice is always read the book with this one because the narrator isn’t great (he’s must too soft, his words get lost more than should and he just doesn’t fit). The complex elements are also a bit easier to take in when reading them, if for not other reason you can refer back to them easier. Hope you keep going! P.S. – how are you listening to Dead Heat?! Where did you get an arc?! After I finished the first two installments, several peeps said the same thing about the narrator, so I’ve decided to switch because now I have confirmation that it wasn’t just in my head. I didn’t get an audio ARC, just an eARC. I don’t know how I ended up on Briggs’ distribution list, but you won’t hear me complaining! Ronin’s ok, but Adam really started to get on my nerves in book 2. My review of The Dream Thieves is scheduled to post on January 2nd. The Raven Boys was a bit difficult for me to get into at first so I could definitely see where you were may have struggled with the audio book. I think the book is much better the only problem was that the first half is a bit slow and I nearly put it down. That being said I continued and loved it and now it’s one of my all time favourite series. I suspect that my thoughts on Blue Lily, Lily Blue will be vastly different than books 1 & 2 because I’m going to read it. This is a prime example of how a narrator can make or break a story! I borrowed this one from the library a while back and it was an audio book. I stopped listening after a few chapters because I didn’t really care for the narrator. Like you said, he whispered a lot for no damn reason. I picked up the physical copy (but still haven’t gotten to it) because I think I’d appreciate it more that way. I’m kinda wishing that I’d adopted your attitude, and put this audio down before I got too far in. Alas, it was easier for me to squeeze in a listen than a read, but I won’t be making that same mistake again. 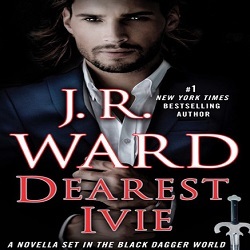 I haven’t started this newer series yet even though I loved her Wolves series. Sounds unique and probably a good one to read instead of listen to so I don’t get confused. Her wolves are one of my fav YA werewolf series too, but The Raven Cycle is not at all similar which was disappointing. I really loved her Shiver series, but I have not read this one yet. I plan to soon though! ‘Read’ being the key word in that sentence. LOL! I love this book and I agree with you that the beginning it’s a bit slow and it takes a while till everything comes together, but once it does… HOLY WOW!! I only listened to the prologue and first chapter of the third book and I know I couldn’t listen to these books at all, I highly dislike the narrator! I hope you will give Dream Thieves a try sooner than later, maybe the physical book instead of the audio. Pili recently posted…Friday Reads: ARC Review of Golden Son by Pierce Brown!!! I toughed it out, and still gave The Dream Thieves a go in audio, my review posts in two weeks. However, that’ll be the last of Will Patton for me. Your review was one of the ones I read before I wrote mine that made me feel like a black sheep. Hehe! This story definitely requires your 100% attention, and you probably should take long breaks in between reading sessions. Lesson learned! I hope you’ll give Stiefvater a second chance because her writing truly is remarkable. Glad to find another person not completely in love with this book. There were so many WTF moments, especially that weird ending. Plus I thought the narrator was awful. I gave it 2 stars heh. I’m not gonna lie, I spent the majority of my time scratching my head during The Raven Boys, and I’m so with you on the narration. I think this is one series where the audio just can’t do justice of the writing style. This book/series is very intricate, and just gets more so even as somethings are revealed. Yet, I got addicted to those moments of What the Fluff Bunny! I’m SO with you on the “Then all of the symbology, Tarot aspects, and Welsh lore kicked in” and then your in, right?!! I’m glad you going to continue on, I still need to read Blue Lily, Lily Blue when I have time to just really devour it with no distractions, lol … When right? Soon. Have a great weekend – feel better too! I listened to Sinner, and Stiefvater’s prose really shined thanks to Emma Galvin’s narration. I wish I could say the same about this series. I’m already feeling much better, thank you! I know what you mean, I wasn’t the biggest fan of this one either, there was just something missing to Maggie’s writing. I liked the second one better. I listened to that one and I enjoyed Patton’s narration. I still need to get to the thrid. I agree, The Dream Thieves was significantly better than book 1, however I still felt like something was missing. Fingers crossed that Blue Lily, Lily Blue will knock my socks off! I remembering asking you, are you sure this is what you want to get…LOL It was just an OK listen for me and I agree with a lot of the points you made. I got it when it was a free listen from Sync. I didn’t understand what you meant at the time, but now I sure do. Leave it to me to have to learn the hard way. LOL! Thanks for the shout out! Carmel 🙂 You’re always all Aces! This is one series I want to try… but I’m hesitant. I’m a simple kind of girl. Too much lore makes my brain hurt sometimes. Nereyda recently posted…Audiobook Review: Princess of Thorns by Stacey Jay! At least your expectations are realistic. This series is not for the the casual reader looking for fluff. Make sure you have your thinking cap on if you add Stiefvater to your TBR. I haven’t started this series yet, but I do have the first two. I think I’ve heard it’s one that’s easier to read since there’s a bit much to follow, but I guess it depends on the person. I’m not sure when I’ll ever fit this in, but one of these days. 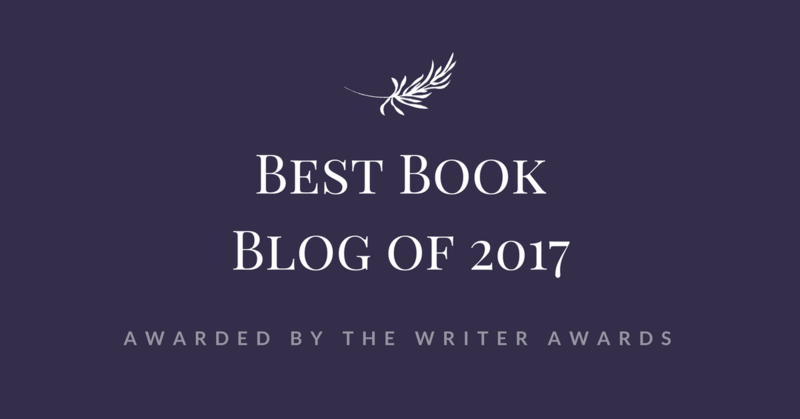 Candace recently posted…Blog Tour Review: Nero’s Fiddle by A.W. Exley & Giveaway! I agree, it is a slow start and while reading this it felt more like literary fiction than YA because of her prose. She did take her time in setting up the board and the players. I love her myth about ley lines, I had a fascination for that too a while back so reading this was delightful to me. It took a while for the pacing to pick-up speed, however you can’t fault Stiefvater’s world-building or characters. That’s for sure! She’s one of the very few YA authors who I’m obsessed with. I enjoy this series but yes, the first book has a lot of ups downs and wtf moments. I think my favorite part about this series are the characters. That is what keeps me going on this series. It’s a good thing that I was home alone when I listened to this because I probably made a lot of weird faces. LOL! Oh, I’m SO glad I grabbed this one in ebook instead of audiobook. I have trouble with regular narrators, so this one would have done my head in. Glad you liked it anyway. That’s for the best. I wouldn’t recommend this audiobook for newbies or those that struggle with them to begin with. I’m currently listening to this one! Skim..skim…skim…Yes, I agree that the narration is a bit off. Glad to hear that you noticed the whispering as well; I was a bit worried that a) my earbuds were dying or b) I was losing my hearing from listening to my music too loudly. I own a print copy of this one and I’m thinking that I’ll try to swap between the two to see which format I prefer. There is some positive feedback about the narrator on Audible, but his delivery just wasn’t for me. Too many cons, not enough pros. This series is hugely popular and are on my wishlist. I may eventually go with the audio version of them. Loved your review! It’s definitely up there on the list of YA musts, although you might want to reconsider your decision to listen to it. The story was a little out there, but mostly in a good way. My expectations were a tad too high after Sinner I think. I think you may be the first reviewer out of the blogs I read that didn’t give this one a raving five stars, lol. I still want to read this one though, I feel like I’ve read everything else by Stiefvater except this series. I know! What’s up with that? I’m obviously defective. LOL! This is only the second of her series that I have read, but if you’re a rabid Stiefvater fan then you’ll probably enjoy The Raven Boys too. Oh I’m sorry that it wasn’t more. I heard a lot of things about this series. I haven’t tried it maybe one day but for now it’s ok. I liked her other series though, it was cute. thanks for the review. I hope book 2 is better. I think that there was simply too much going on in this story to make it a good listen. I suspect that my rating might have been different had I read it. Ditto. It’s too bad. Loupe warned me, but I didn’t listen. Yeah this is definitely a WTF prompting series. So many twists and surprises. I think I also would have been confused if I listened on audio, as I found myself confused with just the text sometimes. Narrators can really impact how you look at a book, I was listening to Falling Kingdoms on audio-wow. Terrible experience LOL. More often than not narrators grow on me the longer I listen to ’em, so that’s why I persevered will Patton. Lesson learned! I don’t know how many installments are planned in this series, but I have a feeling that Stiefvater is going to make readers work for those answers. Evil author! That’s funny that you listened to two book 1’s during your hiatus by the same author. Which series are you going to continue first? This story line was indeed WAY more complicated than Shiver, and there were no werewolves. Ah well, I’ll make do! I already have a kindle copy of Mercy Falls until Forever but I kinda want to continue it on audio so I might do that! I’ll probably listen to that first since it’s less complicated than The Raven Boys lol. I want to meet Cole too! I only listened to Sinner in that series, but if it’s the same narrators, they are wonderful! Might not be though because 3.5 was about secondary characters. Cole’s awesome! This was the first book I read from this author so we did not start off so great. This book bored me to tears. There was so much info to take in. I just stopped having fun reading. And the writing style is so not for me. But I like that I seem to be in the minority. A lot of people love this author and series. Happy this one turned out okay and that you love her other series. Had this been my first forage into Stiefvater’s writing I might not have continued either. You should give her Wolves of Mercy Falls a go. The mystery aspect sounds like it was done well, I started reading this a while back but found the first few chapters quite boring so I gave up, I might have to give it another go. It took a while for the pacing to pick-up, so I can understand why you DNF’d this novel after a couple of chapters. I hope you’ll give Stiefvater a second chance. I’m about to pick this book up after all the raving and I’m really looking forward to it – just the concept alone sounds pretty amazing to me. I love the sound of all the characters who are imaginative and diverse, especially Gansey. All of the hype surrounding this series is impossible to ignore. It’s too bad that I didn’t feel the same way. You read more YA than I do though, so hopefully it’ll be a 5-star read for you. It’s rare that I’m in a YA kind of mood, but I’ve been reading more of ’em than usual these past few months. Good call on going the eBook route BTW! It is good to see you liked the characters, but a shame that the narration put you off. Great review! It’s looking like each book is going to feature a different character which is cool. Can’t wait to read Lily’s story! I just got a copy of the book for Secret Santa and I’m looking forward to starting it soon! It’ll be my first Stiefvater book, but Ive heard nothing but praise for this author. I loveeee fantasy with amazing world building so this sounds super fun. Not sure I would be able to listen to it with all the whispering in the audiobook though, I would get heaps confused as well! Here’s hoping that you make out better with The Raven Boys than I did. Then again, I’m almost positive that the narrator was to blame in this case. Fingers crossed that Blue Lily, Lily Blue will confirm that.